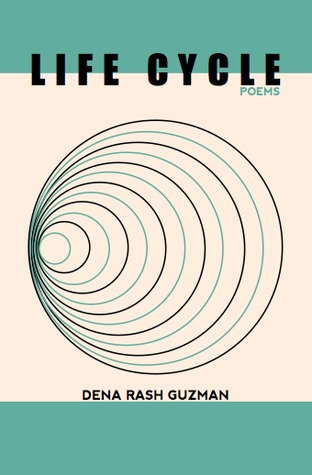 We’re proud to announce a new poetry collection, Life Cycle (Dog Chain Press, 2014), by author Dena Rash Guzman, a Portland poet, who read with us at our A Night at the Victrola Reading in Seattle! Dena Rash Guzman is an American author, poet, editor, born in Las Vegas, Nevada 3/8/72. Founding Editor literary journal Unshod Quills. Poetry Editor, The Nervous Breakdown. Founder of Old Heavy Press; first print title for release in 2013, a chapbook about David Bowie by Seattle author Jenny Hayes. Poetry Editor and Managing Director at HAL Publishing, Shanghai’s independent English language literary journal and small press. Former co-producer for Unchaste Readers, Portland’s only live reading series focusing solely on the work of female writers. This entry was tagged Dena Rash Guzman, new release, poetry. Bookmark the permalink.